Remember the Wells Fargo debacle? So does the rest of America. Worse yet, they weren't alone. Without carefully crafted cultural identities and branding, without strong ethical standards and without well-scrutinized HR policies and procedures (including compensation and incentive planning), and without consistently applied accountability, bad things can… and do… happen. Not convinced, just look at the monthly listing of fines and violations posted by the FDIC, everything from outright theft to unevenly applied regulations to lending discrimination. Add in EEOC violations and Harassment claims and you've got a real mess. While our bottom line is exceedingly important to all of us, it shouldn't be the goal of sound strategy, rather the successful outcome of sound strategy that drives us forward. So how do we judge ourselves on the bottom line yet strive to serve the best interests of our customers? Through sound strategy and planning. We get serious about managing our Conduct Risk. What is Conduct Risk? According to Thompson Reuters, "Conduct Risk is risk to the delivery of fair customer outcomes, or to market integrity." In other words, it's anything we do at our organization that puts ourselves and our profits ahead of the best interests of our customers. Most of us have mission statements that read something like, "Our goal is to improve the financial lives of our customers in a safe and sound manner." And, most of us believe in this high ideal. However, our business practices haven't always acted in accordance with it. Today's regulators, and even the public, are now demanding that we live up to the ideal we set for ourselves. 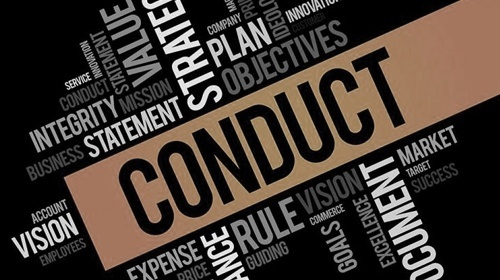 This webinar takes a deep dive into Conduct Risk, examines its numerous components, evaluates its key "drivers" and provides attendees with a host of tools to help develop a healthy, ethical and compliant corporate culture within your organization. Department Managers, Human Resources Professionals, Frontline Staff, Anyone who "Sells"
Diane Reed is a nationally recognized speaker, writer and communications professional, Diane Reed, currently serves as President of CUDoctor, a full-service financial services consultancy, assisting organizations nationwide with human resource, marketing, community relations, compliance, sales, training, board relations and governance, and executive support. Prior to joining CUDoctor, Diane served for more than a decade as Vice President of Administration for a mid-sized credit union. Diane's expertise in "Service-Oriented Culture Change" has been cited in a host of industry magazines. She has co-authored cross-discipline (Human Resources and Security) articles such as "Bad Guys Don't Always Wear Black" and, her marketing expertise has been featured in articles for "Exhibit Builder" and "Business Management" magazines. Prior to joining the financial services industry, Diane acted as Marketing Communications Director at Carfax, Inc.; as Communications Director for the International Gem & Jewelry Show, Inc. and as Marketing Director for Creative Hairdressers, Inc. In addition, Diane was a nationally ranked Public Speaking Coach at George Mason University for nearly a decade specializing in speech and the oral interpretation of literature. Today, she serves as a Guest Lecturer with the University and speaks to classes in "Small Group Communication", "Communication in the Workplace", and "Corporate Culture Creation & Maintenance". She attended The American University and graduated from George Mason University where she specialized in Organizational Communication. Diane currently resides in Fairfax, Virginia.